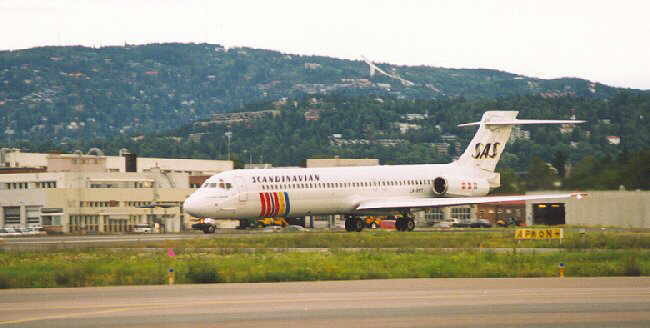 SAS was FBU's biggest operator. 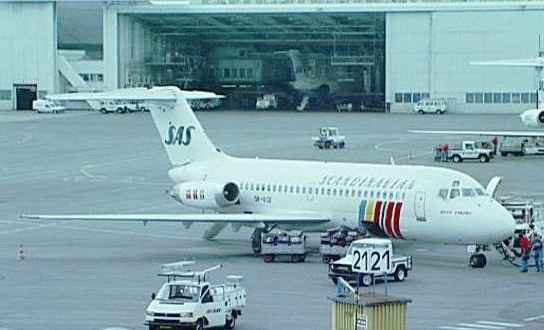 And my former employer. 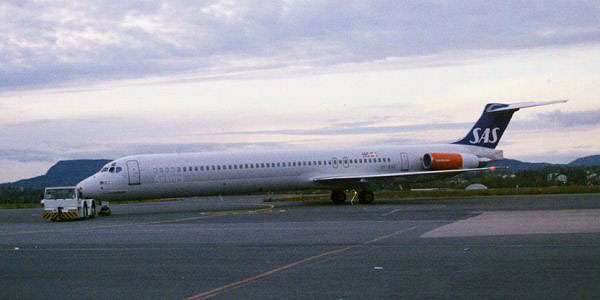 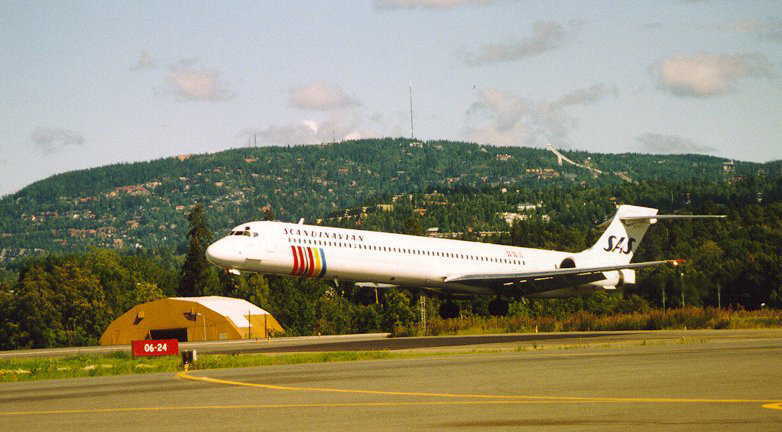 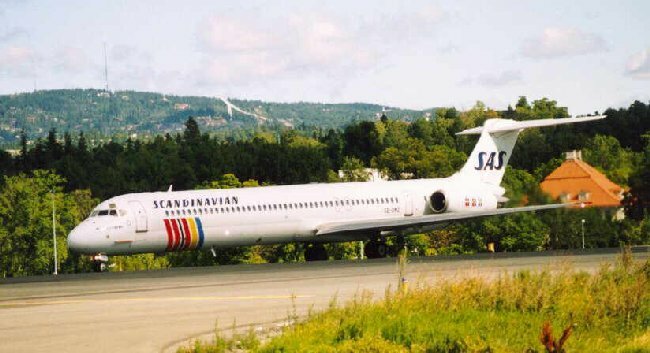 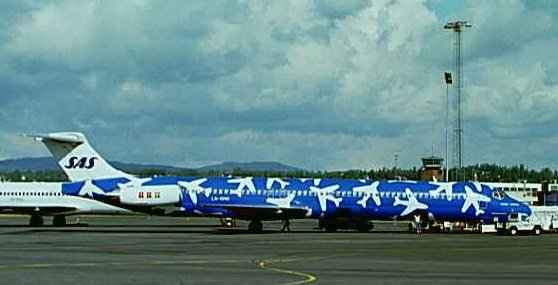 MD81 OY-KGT 'Hake Viking' was the first MD80 to be repainted and the last jetliner to leave Fornebu. 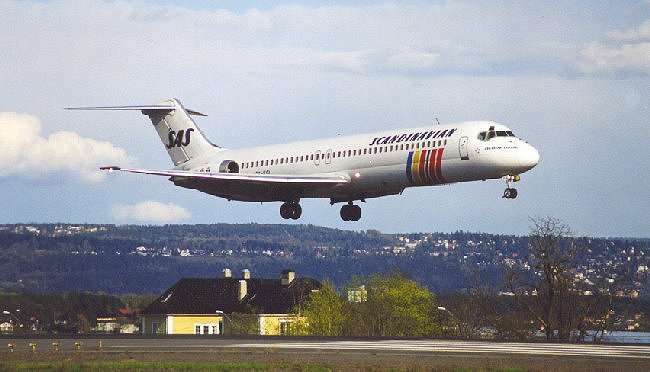 Ex Swissair DC9-81 SE-DMZ was used on domestic and charter flights. 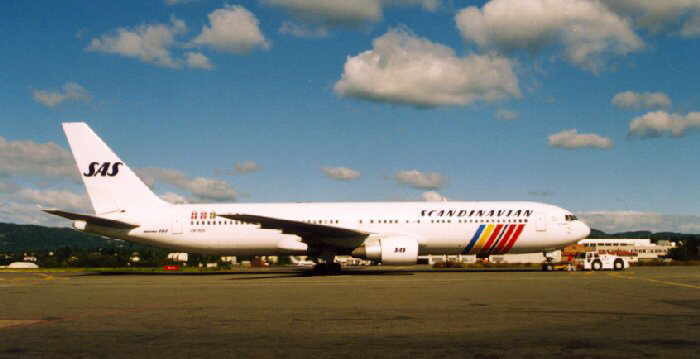 B767-383(ER) LN-RCK 'Tor Viking' on the way to America. 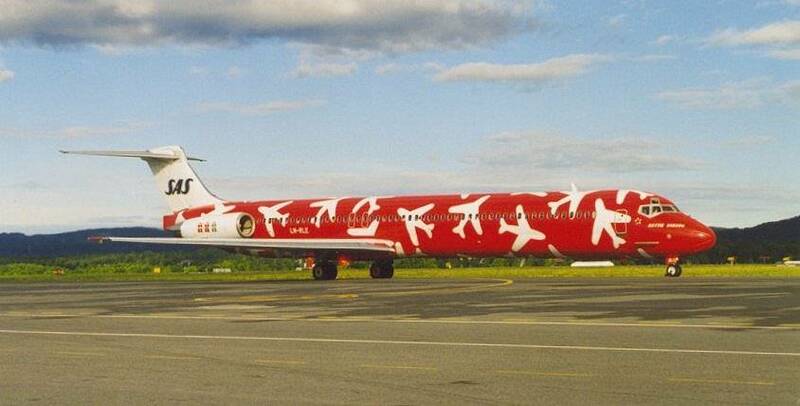 MD82 LN-RLE 'Kettil Viking' in a campaign livery.